A traditional flower pot style made from innovative light weight materials. 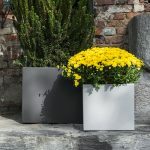 The Bordato Liscio planter is an incredible durable planter, that wont chip or crack and is easy to move into place due to its light weight nature. The Bordato Liscio Planter family ranges from the smallest planter at 580 diameter right up to the giant 1300 diameter for large trees. 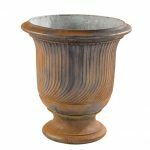 This planter is available in a range of sizes and colours and is suitable for residential or commercial situations. Standard colours – Anthracite, Black and White. 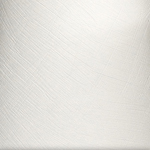 The larger sizes, 1100 dia and 1300 dia have a smooth finish, the smaller 580 dia, 680 dia and 780 dia have a textured finish. Other colours available via special order. Lead times may apply. 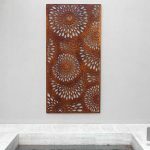 Complete your outdoor space with Serralunga, a company renowned for pushing the boundaries of materials, technologies and aesthetics in order to create ground breaking products that both inspire and delight. 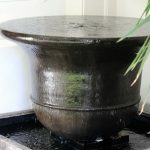 The company’s eye-catching furnishings whether a sculptural planter or geometric table are conceived to be highly functional as well as beautiful, and attest to the firms supreme mastery of cutting-edge rotational molding processes. 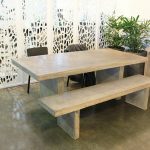 Significantly, these high-quality weather-resistant designs enable a natural and almost seamless visual progression from indoor to outdoor spaces, thereby considerably extending our living environments.